God is Light and in Him is no darkness at all. 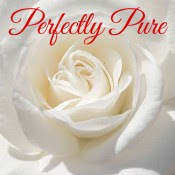 He is perfectly pure; altogether, in himself complete. He is altogether Righteous; altogether Just; altogether Good. He has revealed himself to us in various ways, but in order to understand that revelation, we must be humble before the Lord; for God opposes the proud, but gives grace to the humble.